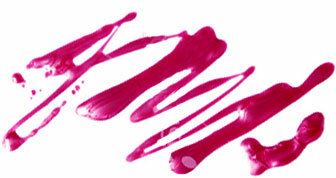 Lately, we've been really into minimal nail art. Sure, it's always fun to deck your nails out in crazy colors, rhinestones and doodles, but a simple design with neutral colors packs a lot of punch, too! When we spotted this marble manicure nail art tutorial on one of our favorite fashion blogs, Love Aesthetics, we had to share. Blogger Ivania Carpio is one of our biggest minimalist inspirations. She's rocks the best white on white ensembles we've ever seen and her fashion and beauty DIYs leave us begging for more. 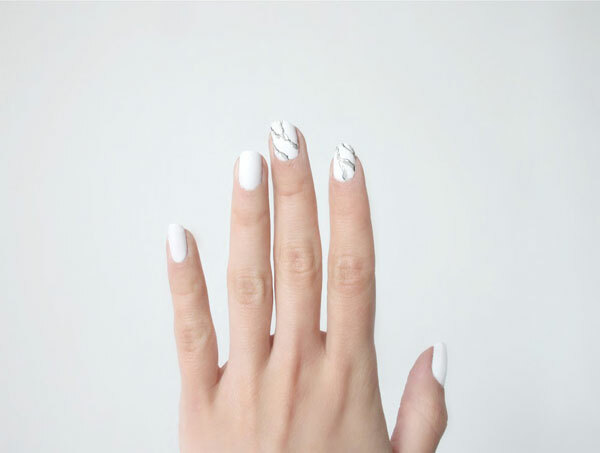 This awesome white manicure with a crazy-easy marble print design reminds us of our kitchen countertops, and made us realize that you can find nail art inspiration just about anywhere. We can't wait to rock this look with our white summer dresses. Get the full scoop on how to get this summer-perfect manicure at love-aesthetics.blogspot.com.